Boeing’s next generation narrowbody the 737 MAX is in Australia as part its flight test program, with 737 MAX 8 development aircraft N8704Q arriving in Darwin a little before 1730 local time on Thursday. Since landing in Darwin, N8704Q, the fourth of four 737 MAX 8 development aircraft built, has flown to Alice Springs, as well as conducting a number of flights that took off and returned to Darwin of between three and five hours duration, flight tracking website FlightAware shows. Boeing has three 737 MAX customers in Oceania – Virgin Australia is due to receive the first of 40 MAX aircraft on order in 2018, Air Niugini has put pen to paper for four MAX aircraft arriving from 2020 and Fiji Airways has five 737 MAX 8s slated for delivery from 2018. The MAX, Boeing’s fourth iteration of its 737 program, began its flight test program at the end of January 2016, when the first 737 MAX development aircraft, N8701Q Spirit of Renton, took off from Boeing’s Renton, Washington State site (where all 737s are built). Boeing chief executive Dennis Muilenburg said during the company’s quarterly earnings call on January 25 (US time) the MAX flight test program showed the aircraft was performing well. “We are going to begin delivering aircraft in the first half of this year and we are on track to deliver our first MAX in the second quarter of 2017,” Muilenburg said during the earnings call, according to a transcript published by SeekingAlpha. “The MAX will end up being about 10 per cent to 15 per cent of the total 737 deliveries this year, so a meaningful portion but a fraction as we begin ramping up. Muilenburg reaffirmed previous guidance that the 737 production rate would rise from 42 aircraft per month currently to 47 per month in the third quarter of calendar 2017. It would then increase further to 52 per month and 57 per month in 2018 and 2019, respectively. “And importantly, even at the 57 per month rate, we continue to be oversold. Simply put, this is a big attractive market and the 737 family’s position within it is solid,” Muilenburg said. The MAX has garnered 3,606 orders at the end of December 2016, according to the Boeing website. The aircraft competes with the Airbus A320neo Family, which has been flying with a number of airlines since January 2016. The Airbus website showed the company had received 5,069 orders for the neo. Qantas is expected to run a competition between the 737 MAX and A320neo at some future point for the replacement of its existing 737-800 fleet. Still a crappy 737 with an out dated flight deck, ugly cabins and 1960’s doors. Would be a good time for Boeing to send it down to Brisbane or Sydney for Qantas to have a look at and order the darn plane! Would be a smart cheap decision and should be the only place to replace the NGs they have. Minimal training for the flight and maintenance crew, reduced operating costs, further range and the cost of converting the simulators over would be very minimal as well compared to buying the A320NEOs. Spare and repair parts would be cheap as well because Jetstar and Qantas could have shared engines along with spare and repair parts for the engines due to the commonality with the CMF Leap A and B. Also they should get the RAAF to have a look etc to replace the BBJs we currently lease. If they bought 3 for VIP minimal cost for crew training etc due to the E-7, BBJ and P-8As currently in service. I agree, Mick. Boeing HAS to start work on a totally new aircraft to replace the 737. It’s an outdated design that’s been taken about as far as it can. 1950’s design, hasnt changed in the flight deck still….. back to the flicking switches and connecting generators etc, something, that really is a 1960’s concept….. WHY the heck dont Boeing get with the times and make a cockpit like Airbus philosophy?? Hey Corey, I read and totally disagree with your thoughts . The 320/1 series is far better suited to Qantas for all their domestic roles. The A330 types could be replaced by short haul A320, whilst across the East/West sector, they could use the A321. Also, Jetstar are a big user of this airframe, so would fit an Airbus purchase. As far as the Airforce, they use both types of metal, so can pick their own aircraft dependant on role. Agree it is long outdated. They need a totally new narrow body design of about the same size but using the lessons and techniques of the 787. Mick. The flight deck is all upgraded with commonality with the NG. If you did you very basic research then I wouldn’t have to be telling you this….. The 737MAX is a NG with a raised landing gear, new flight deck with new 787 type screens, new bigger fuel-efficient engines, new wings and aerodynamic changed. Pilots will only have minimal conversion training like 2 weeks or less and the MAX has greater range. If any airline operates the 737 classic or NG the MAX is the best and cheapest replacements for them. Qantas needs to order them as they could get them cheap $60-70 million US each or less working off their prices. Operating costs would drop 14% there for paying off the aircraft much quicker. I often wonder why Boeing didn’t develop the 757 frame as a workhorse over the 737. Yes …despite the technological advances the 737 remains the most uncomfortable passenger experience in the skies …… and the airlines dont help by trying to cram as many passengers on board that they can!….The $ always take preference in the modern world ! Dee Thom. The A321 would not work doing transcontinental flights. You can’t fit freight on those flights. A lot of the cargo coming in from international flights get transferred from these on to domestic flights. Whether from east coast or west coast. A pure widebody is the only way to do it. Plus some of our sports stars won’t be able to compete as the long items like pole-vaults won’t fit on smaller aircraft. Around 1968 the first Boeing 737 took to the sky. It took Airbus about 20 years to bring a competitor to match the Boeing 737. With the introduction of the Airbus 320 series they competed with the Boeing 737 Classic. In the 90s Boeing improved the 737 by introducing the 737 NG series. This aircraft was by far superior in every aspect and this forced Airbus to bring the Airbus 320 neo series around 2010. The neo is basically the same aircraft except it had new engines on it. With this, Airbus tried and I emphasize tried to close the gap to the Boeing 737 NG. 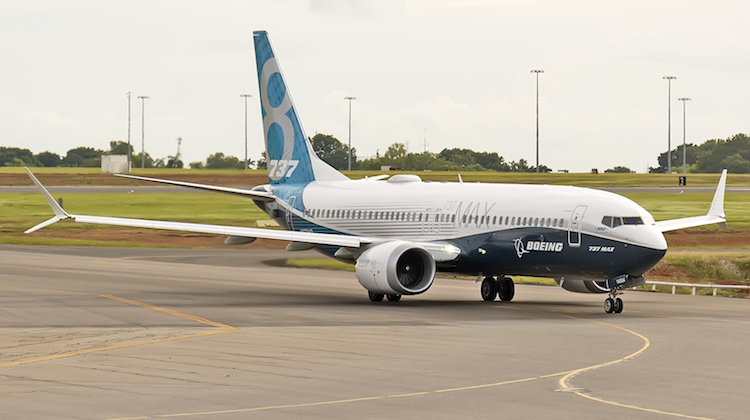 With the new 737 MAX coming this year, Boeing have again increased their superiority over the 320neo in all aspects. New cockpit lay out, much better engines, new gear, more load, more range and many other features. There are far more changes in the upgrade to the Boeing 737 Max then there were in the upgrade from the A320 series to the A320neo series. It will probably take another decade for Airbus to try to close the gap between the A320 neo series and the Boeing 737MAX. Corey Dark did you do your research mate Jetstar use IAE V2500 engines on their A320s not CFM Leap engines. The Qantas group already has a lot of the hardware set up for the A320 aircraft so spares,training tech crews and engineers would be minimal. No doubt Boeing would offer Qantas the 737 max at big discount prices to stop them going to the A320 family. You can talk up the 737 all you like but the A320 is a superior machine. I support comments by Peter. Bad luck about the range difference between the B737 and A320. That’s why Tiger is using the B7378 for their Bali flights over the A320. Yes Gary in your defence of Peters comments,the reason the NG 737 was built is that the A320 was killing the 737 in sales so Boeing had no alternative other than to upgrade an aging airframe.What of it that it took 20 years for Airbus to build a competitor to the 737 they only formed 20 years prior to that as an aircraft manufacturer so it was important for them to establish themselves as a competitor with the A300 and build their reputation. Actually the range of the A320 is 3,300 miles v 737-800 3,115 miles.Fleet commonality and operational costs with Virgin was obviously a factor for Tiger to switch to the 737.The A320 is planned to be withdrawn from the fleet as someone has woken up that you don’t operate similar capacity airframes from different manufacturers re Ansett. Peter, are you aware that Airbus did not exist in 1968? It’s ridiculous to count years of “catch” up that were before they were born. In reality, the 737 took years to catch up to anything. If you did some proper research on the history, you find that sales in the first few years were so slow that Boeing seriously considered canning the product. The 727 and DC9 were the sellers back in those days. And better engines? Are you aware there are the same engines on both planes? CFM56 for both 320 and NG or CFMLeap for both MAX and NEO. Except on the 320,you get the choice to pick other engines which you do not get on the 737. The other “advantages” you’ve listed are over the previous 737 not over the A320. The introduction of the A320 was in fact a technological step forward – and for all civil aircraft not just the narrow bodies. The first full glass cockpit, the first digital fly by wire system, the first full flight envelope protection system. Whether you like it or not, the A320 is inked in aircraft history for those achievements. So much Boeing v Airbus sniping. The bus in Airbus is there for a reason. The A320 is built to perform a specific task, moving passengers, with the maximum efficiency for a predetermined number of hours/cycles. Then be scrapped. There is no afterlife for the A320. The 737 has been designed to fly on for as long as its fail-safe structure allows. It can to be converted to cargo because it will generate a return on that investment. There is no big door A320 freighter. The balancing act for airlines is whether the A320’s efficiency advantage outweighs the greater residual value of the 737 at the time of disposal. A good illustration of the difference between the two aircraft is the life after Ansett of its A320s and 737-300s, which were very similar ages when the airline went under. Gary, not true. The reason Tiger is using 737s for their Bali flights is because they are wet leased from Virgin and operating on Virgin’s AOC. The A320-200 with Sharklets has greater range than the 737-800. But the 737 MAX will have greater range than the A320. Qantas Group have already ordered 99 A320 series aircraft. Check the Airbus website.